Being consummate nerds, we read, A LOT. And I mean, really… reading and glamping… can life get better?! So we are adding a new feature to the blog: Glamper Lit. We’ll find books, both fiction and non-fliction, written about an area we’ve explored on our glamping excursions and discuss them and we hope to hear other reading recommendations from you! There are very few absolutes in life, most of those I held so close in my 20s have been turned on their heads and life is better for it. But here is one that I can’t imagine leaving behind: always visit green shaded spaces on maps that begin with the word “National” because they are always worth the time, ALWAYS. Following this axiom, we set off for Bandelier National Monument near Los Alamos. As you’ve probably gleaned from this blog, I am a hippie. This can get interesting when you are a military spouse and your husband is “the man” and you move from military town to military town. But then you talk your husband into hiking with llamas near Taos and you refill your crunchy-hippie tank and it’s good. I’ve driven a lot. Across the country a few times, with and without kids, toodelling around South Dakota inspecting dumps, traversing Texas for state parks, and dodging raindrops all across the Pacific Northwest. Mostly driving is just a means to an end for me. But then there are those roads that come with their own soundtrack, that I will remember driving in daydreams. Driving the high road to Taos is that kind of drive. We pulled out of Santa Fe to glamp in Taos for a few days and decided to take the long way there. The high road to Taos is one of this things travel books say “if you have the time” and so we made the time. Pulling Honeysuckle Manor, we left the juniper pinyon scrub and watched as the miles melted into pine forests amidst snow capped mountains. Seeing such drastic changes in ecosystems over a relatively short distance was awesome and lent to my growing suspicion that New Mexico is magic, I bet the american Hogwarts is there, probably an adobe village with gardens of green chile plants that can erase bad memories. This year our family had to deal with the biggest challenge we’ve ever had: TJ deployed for six months. Now we are not strangers to deployments, this was his fifth (our fourth since we’ve been married) but it was the first one we experienced as a family of four and the first one in which the kids understood their father was gone. And it was a LONG six months… for everyone. 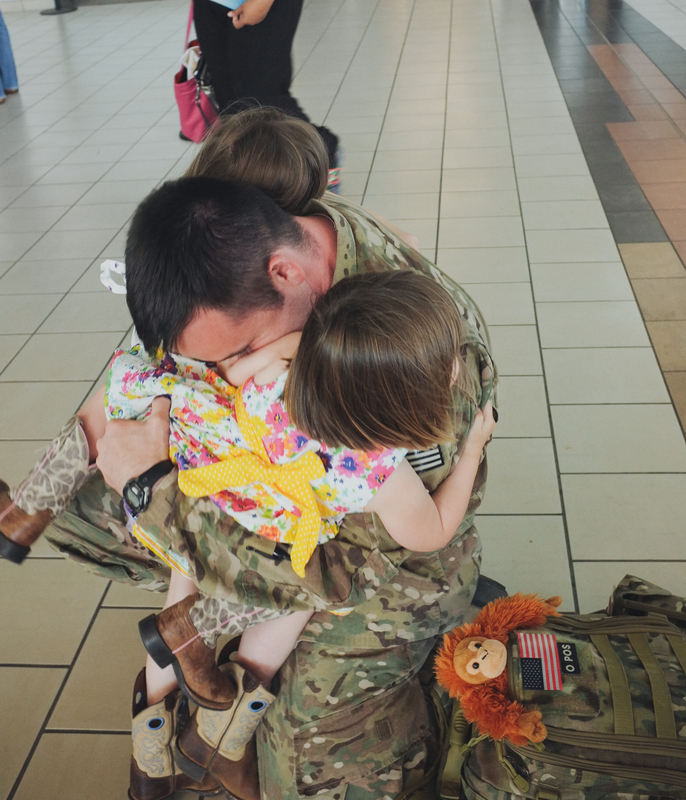 Now every “reintegration” has its challenges, and every family knows what works best for them. Something that always carries us through these deployments is planning a special trip once TJ comes home; and this year we picked New Mexico. For us, family adventures are when we are at our best –as a family and as individuals. While TJ was gone, we talked endlessly about this trip: what we would do, where we should stay, what improvements did we want to make to Honeysuckle Manor and our tow vehicle, and it was such a nice way to escape whatever was happening that day, thousands of miles apart, something could do together. Neither TJ nor I had ever been to New Mexico before, and it just sounded like a place we would fall in love with, and we did. Plus, endless quantities of green chile can kick months spent single parenting out of my head.